Tom Coronel is in favour of a planned merger between WTCC and TCR series, saying it is the "best thing" he's witnessed in the last 10 years in the sport. ROAL Motorsport Chevrolet driver Coronel is one of the most qualified drivers in the world to comment on the expected merger between the two worldwide touring car championships. The Dutchman has taken part in several races of TCR Benelux, as well as the Spa event of the TCR International Series, as well as being part of the WTCC paddock since its inception in 2005. "I think it [the merger] is the only solution to make touring car racing survive," he said. "[TCR boss and former WTCC boss] Marcello Lotti did a mega job in the last three years and it was just a matter of seeing how they would match. "The rumour is that it will happen, I think it's the best thing I've seen in the last ten years of motor racing. 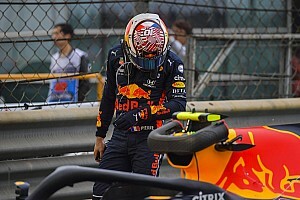 I'm really happy, also for myself, because I'm in a car that can't fight against the factory teams." Coronel believes that the TCR cars allow drivers to race more aggressively, which would prove popular for the fans. "As a clever race driver you can do very well in TCR, so I think I have a chance to be on the podium with that rule set, and also for the fans, because it's real racing," he said. "We can touch each other, you can open the gap a little bit, if we do it with the TC1 car the whole front falls off and you can't get close to the car in front because of the downforce." Coronel trusts that TCR's Lotti and WTCC boss Francois Ribeiro will find the best solution in the interest of both championships. "I've driven a Honda Civic in TCR Benelux and I really loved it, I love driving those cars. For me it's a logical thing to do," he said. "I knew in my heart this would happen, it was just a matter of time. "If the two boys [Lotti and Ribeiro] are clever, which I know they are, then they will find an agreement. If they don't they will lose, and I know they both want to win, so what's the problem?" The six-time WTCC race winner thinks manufacturer teams don't necessarily need to be forbidden, as long as they have the same materials any privateer can have. 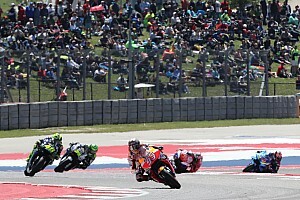 "They can be allowed as long as they have exactly the same material as the privateers, then it would be fine," he added. "At one stage in the WTCC I had a normally aspirated engine and the factory cars had a turbo diesel, which is not right. The FIA has the tools to check that the materials are equal, and that's what I like." Nine-time Guia Race winner Rob Huff says he is aware that TCR is the way to go for the future in terms of sustainability of the championship, although he will be sad not to drive a TC1 car anymore. "We need a sustainable championship and at the moment we don't have that," the Briton said. "I'm just sorry to see these TC1 cars go because for me it's the most amazing car. 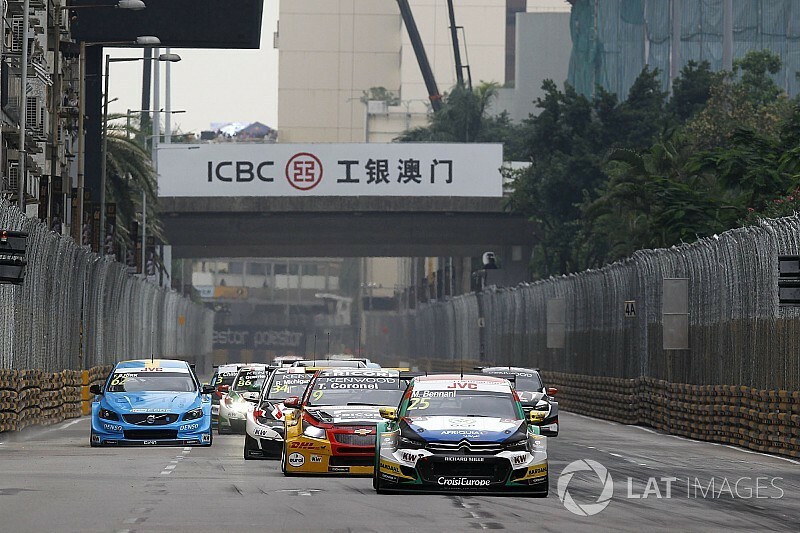 It's a real touring car, very quick, around eight seconds per lap here at Macau than the TCR. "Ultimately we need to have a sustainable touring car championship at world level and TCR brings just that." 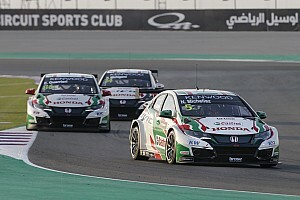 Championship contender Norbert Michelisz is in a special situation, as he is a works driver in the current WTCC as well as the owner of the teams' champion M1RA in the TCR International Series. With the debate as to whether manufacturer teams should be allowed in the new world championship, which is forbidden in the TCR International Series, Michelisz believes that whatever the decision is it must be strictly enforced by the governing body. "The most important thing is that if the decision is made to go for either part there must be some control over what happens," the Hungarian said. "We don't want masked works teams. "My personal view is an FIA championship should have works teams and drivers. In the end, I'm just hoping for the best scenario for the audiences and that we have good racing."